A new player in the mobile phone and cellphone market in the Philippines has lunched their complete list of basic handsets, cellphones, smart phones and soon tablets at Maya Taqueria and Tequila Lounge Crossroads Banilad Cebu City recently. Starmobile, a local maker of quality dual SIM mobile phones, now brings to Cebu its brand. Starmobile currently have more than 100 Starmobile partner resellers located in Cebu main shopping locations. Starmobile is established by Star Telecom Alliance Resources (STAR, Inc.) with team of Filipino Engineers doing the design and research for its mobile phones. Michael Chen, Starmobile President shares that Starmobile is more than just a mobile phone maker. With his company vision to be the partner of Pinoys dreams and aspirations, pushing boundaries in telecommunications and content development to create a new, happy, and hopeful mobile lifestyle. 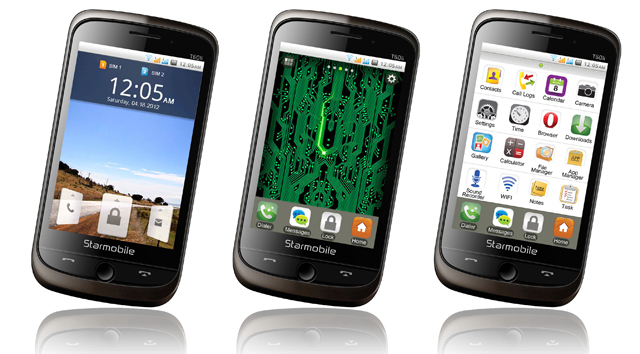 The new Starmobile FeatureSmart T601i is the top of the line among Starmobile full list of mobile phones. Starmobile FeatureSmart T601i has dual SIM capabilities, a 3.5” capacitive touchscreen, WIFI and Mobile TV. The FeatureSmart T601i deploys a 3.2MP camera and to Social Networking buffs, a built-in access to Facebook, Twitter, and Internet browsing via Opera Mobile is for you. An exclusive mobile content only for Starmobile users, Inquirer.net and Job Market Online provides real time access to news and job alerts under the partnership pioneered by Starmobile and Inquirer Digital. 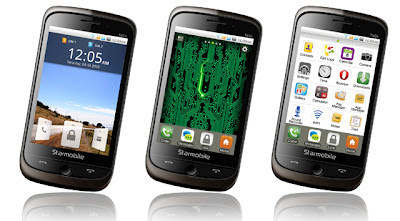 The Starmobile FeatureSmart T601i is has Price tag at only 3,290 pesos. 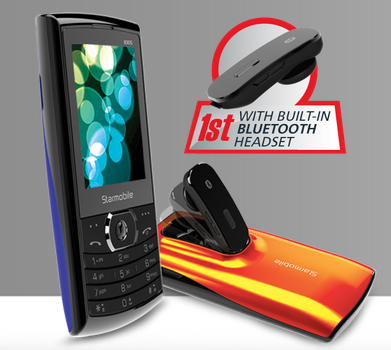 Starmobile Jupiter B305, the Philippines the first and only mobile phone with built-in Bluetooth headset cleverly designed to slip onto the back of the handset. Starmobile Jupiter B305 also a dual SIM phone has triband capabilities, 3MP camera, and colors of blue and orange. Starmobile Jupiter B305 also has access to Social Media sites like Facebook and Opera Mini as its mobile Internet browser. Starmobile Jupiter B305 complete features inlude FM radio, music and video player, expandable memory up to 8GB, and battery life of 4 hour. Starmobile Jupiter B305 has price tag at only 2,990 pesos. Coming Soon for Starmobile Tablet lineup is the celebrated Starmobile Engage that will run on Android 4.0 Ice Cream Sandwhich mobile operating system. I will update for Starmobile Engage Tab price soon. For more info on Starmobile Handsets, check out www.starmobile.com.ph, Happy Man by Starmobile on Facebook, and @happymanPH on Twitter for updates from Starmobile. 0 comments: on "Starmobile Smart Phone and Tablet - Affordability and Proudly Pinoy"